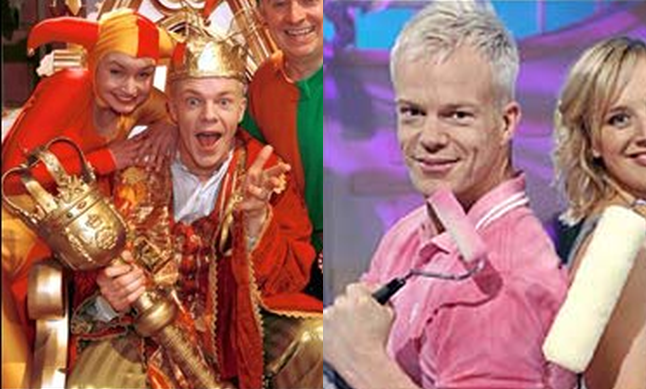 For those of you that are a certain age, you’ll remember Mark Speight as the much loved host of the children’s art show SMart. The show ran from 1994 until 2009 and for the majority of the childhood’s for children around my age, we remember Mark, as well as the rest of the presenters of SMart, being a fixture of our childhood memories. Natasha Collins also worked in children’s TV but she had aspirations to make it more adult programmes. Having started off as a model, she got her break in TV, like quite a few personalities did at one time, on children’s TV shows. She was first seen on the kid’s TV show See It Saw It. She appeared as the jester See – one of the two court jesters to the king – alongside Mark Speith, who was playing the king. In an effort to break into more adult orientated television, she made appearances in shows such as ITV’s Real Women and Hallmark/NBC’s The Tenth Kingdom. However, there was a tragic bump in the road waiting for Collins that would see her promising TV career completely stopped in its tracks, but we’ll get to that a bit later. But while Natasha Collins did not relish working in children’s TV, and wanting to move into more adult orientated programming, Mark seemed to be perfectly comfortable in the format. He may have had aspirations himself, but whatever the case may be, he seemed to relish entertaining children. And when it came to hearing stories about the issues that kids go through, such as bullying, then sadly Mark knew all too well how they felt, because he was the victim of bullying himself. Mark suffered his torment during the 1970s when he was sent to a comprehensive school from his public school in Wolverhampton. As a youngster he had attended public school Tettenhall College, but at 12 he was moved to what was then Regis School, now King’s School. And it was a shock. “I had spent all that time in public school and suddenly I was thrust into a comprehensive,” he said. “I turned up with a briefcase and a perfect uniform and by the end of the first day I had had most of it stolen. “I was used to a heavily-disciplined environment where nothing like that could happen and suddenly I was in a very lax environment and I stood out straight away. Mark soon found that he was the victim of a gang of lads whose daily enjoyment was to make him absolutely miserable. He went through this daily routine of torment for two years, which is just staggering when you think about it, but eventually he finally found out a way to divert the wrath of the bullies, by employing humour. But the by this point the damage had been done. After school, Mark studied at Bilston Art school, and then he moved from job to job before taking a course in graphic art in London. Since then he also worked on TV shows such as Scratch and Co, Name That Toon, Insides Out and The Big Breakfast. But for Natasha, it seemed as though she had a far more easy childhood. She trained at drama school, with a former fellow student at primary school saying: “I went to Primary School with Natasha and she was a great childhood friend. I lost touch with her when I moved back to Ireland with my family but I remember her so well like it yesterday when we were running around the playground in St Monica’s together. In 2001, Collins was cast in a main role in the Channel 4 soap Hollyoaks. It could, perhaps, have been the role that fulfilled her wish of leaving behind children’s TV and moving into adult TV on a regular basis. However, in a bitter twist of irony, she was involved in a serious car crash on the very same day she was told she had the role. The car accident left her severely injured as well as being hospitalised in a coma for a long period of time. Though she recovered, the accident left her with seizures that curtailed her promising career. However there was a silver lining in this, as when she was recovering, she met Mark Speight, and the two began dating. After dating for a while, the couple eventually got engaged in Barbados in 2005. But sadly for the pair, they would not have the opportunity to build a life together, as Natasha Collins died on 3rd January 2008 after overdosing on class A’s and alcohol after falling asleep in a bath of scalding hot water, according to an inquest. It was Mark Speight who found Natasha in the morning after “partying” with his fiancé on cocaine, sleeping pills, wine and vodka. In the aftermath, Mark was arrested on suspicion of murder and supplying class A’s, but about a month later Scotland Yard said he would not face any charges over Collins’s death. An article just after her death, while the inquest was going on, read that: “A gaunt-looking Mr Speight, 43, attended the inquest at Westminster Coroner’s Court in London, where he was sworn in as a witness but said he had nothing to add to the evidence of other witnesses, including police who had interviewed him after his arrest. During the time, Westminster Coroner Dr Paul Knapman said: “We have heard that, within the privacy of their flat, they had embarked on adventurous behaviour, ignoring the risks. He also said that the evidence they had led to the conclusion that collapsed in the bath. He said: “It does seem from this that, whilst Mr Speight was asleep, at some stage she got up. She went into the bathroom. She had a bath. But the coroner noted that the drug in her system would have been “sufficient” to kill her anyway. After the verdict was released, a destroyed Speight released a statement that read: “Natasha was a loving daughter, fiancee, sister and friend, with a very positive attitude towards life. The loss of Natasha was a blow from which Mark never really recovered. Following the death of his fiancé, Mark moved in with Collins’ mother, and after a short while, Mark went missing after failing to show up for a planned meeting with Collins’ mother for coffee at Covent Garden. Speight also missed a planned counselling meeting, he was spotted on CCTV getting money from an ATM before boarding a southbound Bakerloo line train. But just a few days later, Speight was found dead, with his body hanging from the roof of a building opposite Paddington Station. Police sources said at the time of the discovery of his body said that the late grieving presenter may have lain undiscovered for up to six days before being found by railway workers. For a couple that made so many children happy, and were part of so many memories for an entire generation, to call how things ended for them a tragedy is definitely an understatement.